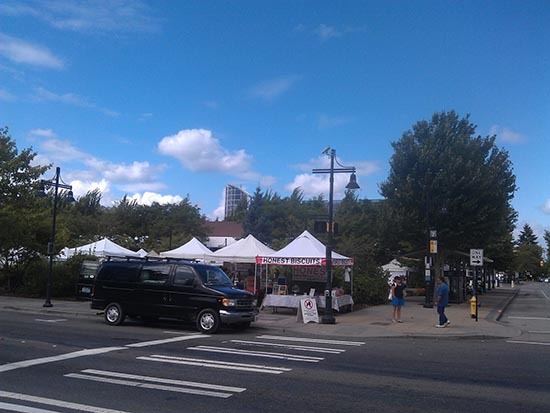 We are now selling at the Renton Farmers Market for the rest of the season (except Sept 4 - we are taking that day off). Find us on the corner of the market (at Burnett and 3rd) each Tuesday from 3:00 until 7:00 pm. We are excited to be bringing our delicious fresh biscuits to the south end and suburbs each week. If it goes well, we could be back for the whole season next year. Come see us on Tuesdays!